1.5 “Supplier” means Skin Clinic the operator of the skinclinic.org.uk website. Clinical Contact Address only – Via theFind Us page of the website. 3.1 All orders for Services shall be deemed to be an offer by the Buyer to purchase Services pursuant to these Terms and Conditions and are subject to acceptance by the Supplier. The Supplier may choose not to accept an order or supply the Service for any reason. 3.2 Deposit payments are required from all Buyers to secure Service Appointments. 3.3 Deposit payments may vary from time to time, be altered or withdrawn, without prior notice. 3.4 The Supplier reserves the right to reject an order for any reason, and will give notice to the Buyer of at least 24 hours. 4.1 The price of the Services shall be that stipulated on the Website. The price is EXCLUSIVE of VAT, if applicable. 4.4 Payment of the price plus VAT, if applicable, must be made at time of purchase. Payment must be made without deduction or set-off. 4.6 All Service Appointments will require the payment of a Deposit, as way of Security. 4.7 The Skin Clinic reserves the right to modify or alter the Deposit charge at any time, without prior notice.  4.8 The Skin Clinic does not offer free appointments or consultations and the Deposit may be offset against the cost of full treatment. 4.9 The Deposit will not be refunded once the Service has been performed. This includes ‘No Shows’ and in cases where no treatment has been indicated. 5.1 The Supplier shall begin to perform the Services at mutually acceptable times and place. 6.2 The Supplier reserves the right to withdraw the Services from the Website at any time,without prior notice. 6.4 The Supplier shall not be liable for any change in law governing the supply of Services within the jurisdiction of any of the operating countries after delivery. The Supplier ensures that all delivered training complies with relevant local laws at the time of delivery. The Buyer has the right to cancel the Contract, by notice of writing or email or telephonic exchange at any point. 8.1 If, however, the Supplier starts to perform its side of the Contract with the agreement of the Buyer before the Buyer exercises this right to cancel, the right to cancel is lost. 8.2 Late cancellations, i.e. within 48 hours of the allotted Service Appointment, will incur full forfeit of the Deposit that has been paid to secure the Service Appointment. 8.4 ‘No Shows’ may additionally result in withdrawal of all Services and cancellation of all subsequent Service Appointments with full forfeit of all Deposits or Fees. 9.2 Gift vouchers will be dispatched within 24 hours of acceptance of order and will be delivered by National Mail Carrier. Payment must be made by credit or debit card. 9.3 The Buyer must notify the Supplier of any discrepancy in a delivery as soon as possible but in any event within 7 days of the delivery of the vouchers. 9.4 Risk of loss, destruction or damage to the vouchers remains with the Supplier until delivery to the Buyer where upon risk shall pass to the Buyer. 9.5 Gift vouchers may be exchanged for services or products only. Vouchers cannot be redeemed for cash in part or whole. Vouchers are not sold on a sale or return basis and no return will be permitted unless it can be demonstrated that the Supplier has been in error in fulfilling the Buyer’s order. 9.6 Gift vouchers are valid for 6 months from the date of purchase and cannot be renewed once they have expired. Vouchers cannot be replaced if lost or damaged. 10.1 Except as may be implied by law where the Buyer is dealing as a Consumer, in the event of any breach of these Terms and Conditions by the Supplier the remedies of the Buyer shall be limited to damages which shall in no circumstances exceed the price of the Services and the Supplier shall under no circumstances be liable for any indirect, incidental or consequential loss or damage whatever. 13.1 Once delivered, service fees are non-refundable. 13.2 Refunds will be issued in full, with no administration or cancellation fee chargeable, if clear 5 days notice has been given. 13.3 Where less than 5 days remain till the Service Appointment, any refunds are at the sole discretion of the Skin Clinic and/or its affiliates. 13.4 Where less than 1.5 day (36 hours) remains till the Service Appointment, no refunds will be due at any time. 13.5 ‘No Shows’ will result in immediate forfeit of all Deposits or Securities paid. 15.1 The Supplier shall be entitled to alter these Terms and Conditions at any time but this right shall not affect the existing Terms and Conditions accepted by the Buyer upon making a purchase. 15.2 Any renewal of the Services will be subject to the Supplier’s then current Terms and Conditions. These Terms and Conditions shall be governed by and construed in accordance with the laws of the Republic of India. These Terms and Conditions shall be governed by and construed in accordance with the laws of the United Kingdom and the parties hereby submit to the exclusive jurisdiction of the sovereign state of the United Kingdom.